Easy affordable vegan gluten-free recipes, meal plans, menus, and lifestyle tips. Real food. Real life. Make the turtles and set aside in the fridge to keep cool. In a food processor fitted with an “S” blade, process the almonds until they are coarsely ground. Add in the dates and salt and process until the mixture begins to stick together. It will be crumbly, but will also stick to itself when pressed. Pour this into the bottom of an eight inch spring form pan. (I line mine on the inside to make sure no filling squeezes out.) Press into the bottom and about an inch up the sides, to form the crust. In a food processor fitted with an “S” blade, process the dates until smooth. Add in the avocados, agave, cacao powder, and salt and process until very smooth and creamy, like chocolate pudding. 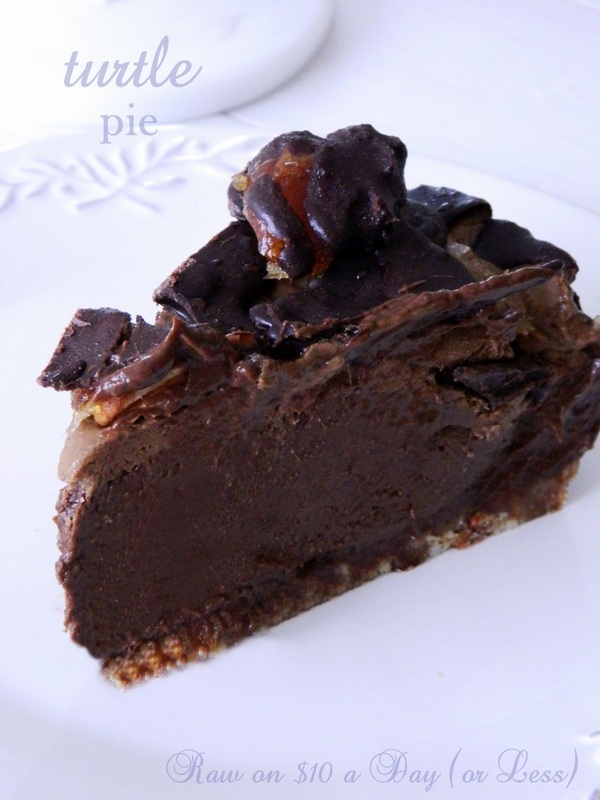 Spread this out on the crust, and arrange the turtles on the top.. Drizzle any leftover hard chocolate shell on the top for extra chocolatey goodness. Hi...just found you on FindingVegan. I LOVE this and it will definitely go on my "to make" list. Thanks for sharing! Hi there! Nice to meet you! I'm Lisa Viger ... artist, author, and photographer. Let me show you how to live a healthy, creative, and affordable vegan lifestyle! I love to paint, garden, and navel gaze and chocolate is my most favorite addiction. Sea Monkeys ... on Ice! A Trip to Sam Cobb Date Farm for Fresh Dates! Vegan Dance if you want to. Face a new-ish you in the a.m! Julie & Kittee's Bagel Factory! Bette J Shaw Health Coaching Creating Your Masterpiece with Raw and Living Super Foods! WHAT DOES LOVE LOOK LIKE TO YOU? I say goodbye. I say hello. Where have all the recipes gone? My Visit to Vegan Treats! Ask the Expert: Jenny Kompoldt and Creating Art with Junk! Come Visit my New Blog! No Longer Blogging Here! 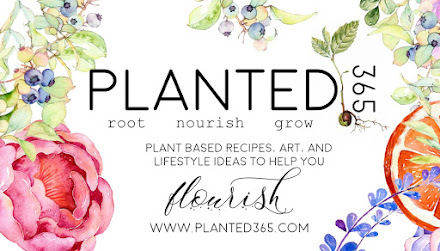 Get NEW vegan, gluten-free, and raw recipes! The New Place to Find Me: GlowWithGrace.com! How to Cook Whole Food From Scratch--and Keep Your Day Job! Why Include Yogurt and Dates in Your Diet? Vegan Options at NYC's Alice's Tea Cup! This Is Why You're Thin! Native Foods Cafe open in Chicago! Wow! Time sure does fly by! Super Dudes - The Raw Food Movie Preview! Tasty Turtles in Ten Minutes! Raw Food Meal Plans ... for Raw Success! Raw Food Recipe eBook for Spring! © Lisa Viger. Simple theme. Powered by Blogger.